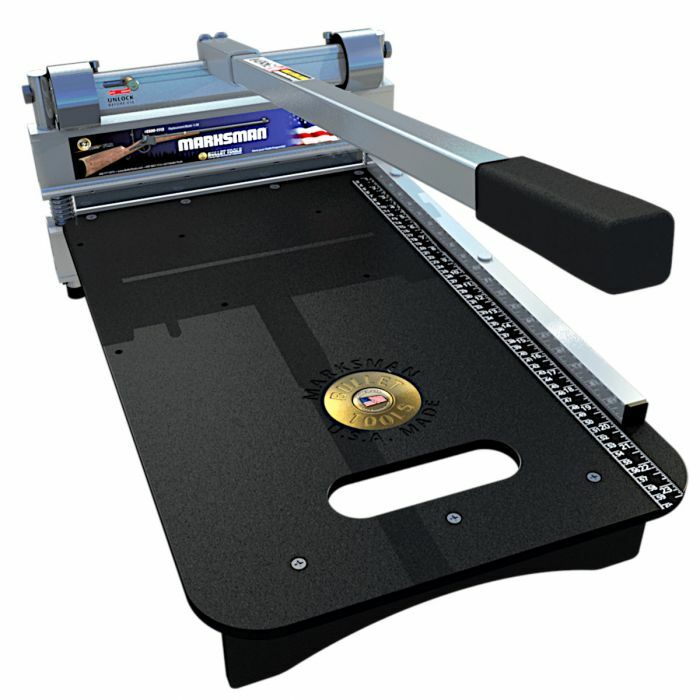 The EZ Shear Marksman is a versatile flooring cutter for making ultra-quick cuts on a variety of products including laminate, engineered wood and luxury vinyl tile without dust, noise or electricity! 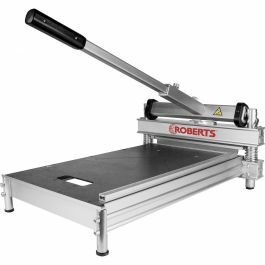 The legendary 13" EZ Shear flooring cutter now has even more power and stability! 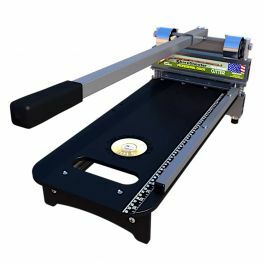 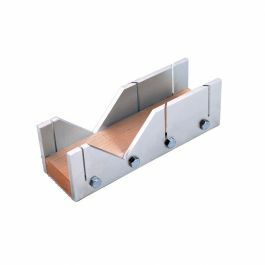 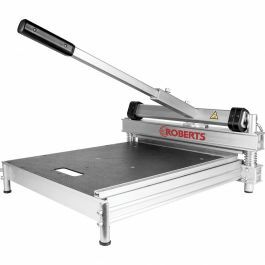 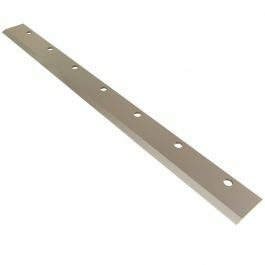 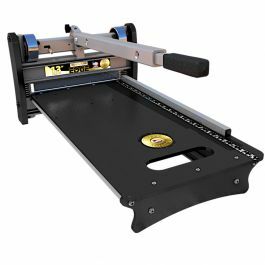 This versatile, light-duty cutter can make ultra-quick, dust-free cuts on a wide variety of products including laminate, engineered wood and luxury vinyl tile up to 13" wide and 9/16" thick. 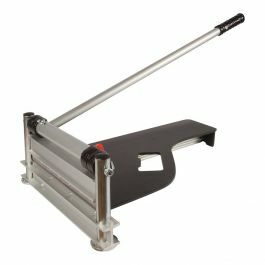 The EZ Shear Marksman has been updated with several new features such as bigger bearings for more cutting power, a longer fence for greater precision and a longer handle for more leverage. 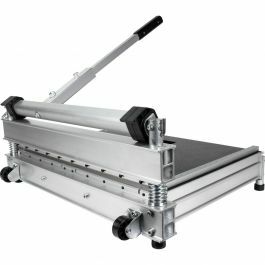 Proudly manufactured in the USA and backed with a 1-Year Bulletproof Warranty.